Jon currently serves as an Investment Lead at a single-family office in Scottsdale, AZ, where he sources, analyzes, executes and manages investment opportunities across private equity and real estate. Concurrently, he is the Founder and Managing Director of Pioneer Capital Holdings, his personal investment vehicle that has invested across agriculture, oil & gas, and renewable energy. Within the portfolio, he served as a Business Development & Finance Lead for Local Roots Farms. Previously, he was a Lead Associate & Founding Member at B2 Partners, an independent private equity sponsor primarily focused on the energy and environmental services sectors. Prior to B2, Jon was an Investment Banker at HSBC, where he focused on cross-border acquisitions & divestitures across the oil & gas sector. During Jon’s college tenure, he served in private equity internship positions at Pegasus Capital Advisors, and Goldman Sachs & Co., respectively. 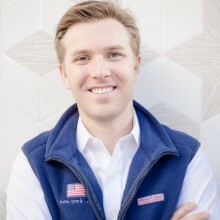 He started his entrepreneurial endeavors while studying at Barrett, The Honors College at ASU, where he double majored in Finance and Marketing and at The London School of Economics. Jon is the Founder, Executive Director & Chairman of the Board for Millennials for Mental Health Awareness. In addition, he is a Board Member at Phoenix Children’s Hospital, an Ambassador for TGen, a Co-Chair for Maverick PAC, and an Advisory Board Member for Mindot. He has lectured at Harvard College on early-stage and lower middle-market private equity investing; and at The Concordia Summit in Bogota on food sustainability.